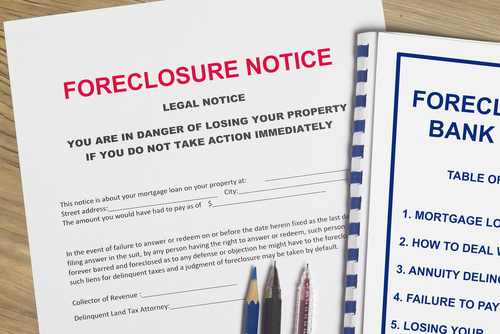 Buying a Foreclosure in Northwest Arkansas is not an easy process. This is when the home is in the process of being foreclosed on but has not been sent to the auctioneer’s table. This kind of sale is a short sale but can be a long, drawn-out process of negotiations. The Seller is under water on his or her mortgage and is trying to offload the home. The first part of the process involves a contract agreed upon by the Seller, but then the Seller and their agent have to deal with the bank which is taking a loss. Often these sales can take months and may never come to a successful conclusion. This makes absolutely no sense since the alternative is another foreclosure in the bank’s portfolio and an even bigger loss. When buying a foreclosure in Northwest Arkansas, this is where homes will go for the lowest prices but with the most difficulties. The houses are usually not open for inspection and will have some big surprises in store for the buyer in terms of unexpected costs. This is best left to investors and contractors who know how to work these auctions. These sales usually occur after home have not sold at an auction and the bank has taken possession. Buyers can usually inspect these properties so that they know what they are getting into and the title will be clear. Banks may also good financing terms to the Buyer. Apart from possible health and safety issues, the bank is unlikely to make any repairs and will sell the property as is. A thorough inspection is highly recommended in these kinds of sales. Also, don’t underestimate the repair costs. Better to over-estimate than have a nasty surprise. If the property is priced well there will be multiple offers generated on it which may cause the successful buyer to overpay. Buyers and their agents need to be careful not to fall into the trap. The agent should do their homework on comparable Northwest Arkansas foreclosed homes, i.e. in the same area and keep the offer at or below those comps. Also, if successful, things will move quickly so be ready to move because the banks will be happy to charge a per diem fee for a late closing. Also, if an area is saturated with foreclosed homes, that may not be the best investment if you are planning to move in a few years as prices could drop further and you may sell at a loss. Finding a home in a more stable community would be a safer bet. As in any sale, but especially when buying a foreclosure, a Buyer’s financing should be in place. The bank is looking for a Buyer who is ready to go and able to close quickly.